The Ministry of External Affairs [MEA] attestation is essential for people who travel abroad for a job or higher studies. MEA document attestation is performed right after the certificate attestation from respective state HRD (Human Resource Department). The Ministry of External Affairs does the document attestation for verification. 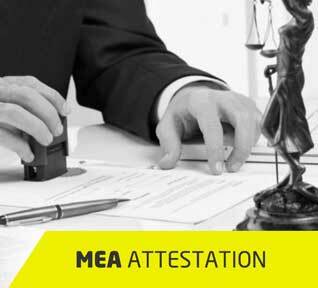 MEA attestation is one of the important procedures in document attestation. People who are planning to go abroad for a job or higher studies need to submit certain documents for verification. The country that you are planning to go needs to know the authenticity of the documents. So, the country will ask you to attest the documents from their embassy in your home country. Before embassy attestation, the state authorities and the Ministry of External Affairs have to verify the document. Only after that, the embassy attestation takes place. The Ministry of External Affairs will attest the document verified by the respective state authorities. MEA attestation mandatory for the people who are seeking admission or employment in foreign countries. As per the rules, one need to provide necessary documents while applying for a job or admission in a university. MEA attestation in a document proves the authenticity of that document in foreign countries. It is a mandatory phase in embassy attestation process. MEA attestation is needed for getting work permits, starting a new business or opening new branch of your business in foreign countries. It is necessary for getting admission in foreign universities and schools. Other than that, MEA attestation is needed for sponsoring the spouse, for getting a family/residence visa and for migrating and settling in abroad. Hague Convention in 1961 abolished the need of legalization of foreign public documents. MEA Apostille is acceptable in any Hague member country. India is one of the 105 countries that accept apostille attestation. You only need a single apostille stamp attestation for going to any of the member countries. It simplifies the attestation process. The Ministry issues apostille attestation for personal as well as educational documents. MEA apostille attestation is done for educational, professional, marriage certificate, birth certificate attestation etc. The Ministry issues the normal attestation to verify the document to use abroad. Urogulf Global Services is the largest certificate attestation company in the world. Established in 2004, Urogulf is an ISO certified attestation company approved by the ministries and embassies in India and abroad. We provide certificate attestation, authentication and verification services to customers from all over the world. MEA attestation provided by Urogulf is secure, hassle-free and transparent. We provide MEA attestation services for degree certificate, marriage certificate, professional certificate, birth certificate attestation etc. A wide network of experts is working for us to provide secure and authentic certificate attestation services. Our transparent approach to MEA attestation reduces the gap between our client and the agency. Our customers can directly approach us as we have no middle persons to work for us. 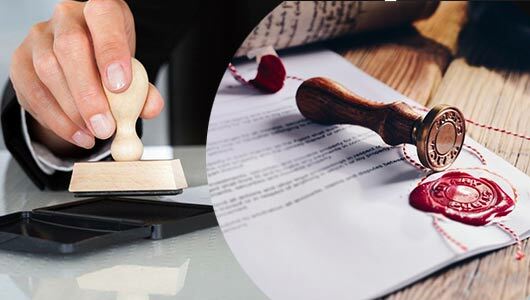 We help our customers in applying for the attestation services as well as carry out the attestation services according to their requirement. We provide the attested documents for them within a limited time period. Our customers can track their application and status of the documents from anywhere through our website. Urogulf provides a safe and secure delivery system for our customers. We use high-level courier services for our customers. Other than that we ensure the documents for safety purposes. Yes they are authentic and knows the value of time...Quick and right work.